Ten years ago, I was a desperate mother knocked sideways from my career ambitions in medicine and academia due to embarking on a parenting journey. Frazzled, manic and sleep-deprived, I wondered how I could manage and how the hell I was going to be able to raise functional children. All the more laughable as I am a Child Psychiatrist whose long training and every-day work-life involves supporting the psyche and well-being of children. Despite a decade of work and research in the field of children it was humbling to realize that commandments made from the ivory towers of medicine and academia were actually really hard to interpret and put into action in real life. Pre-children I had always felt confident that I would know what parenting was all about, I had dished out more parenting advice in my work than hot dinners, but suddenly reality hit, the nerves set in and I wondered: when it came down to actually parenting, was I up to it? How would this fit in with the practicalities of the day to day life of a modern day career woman? 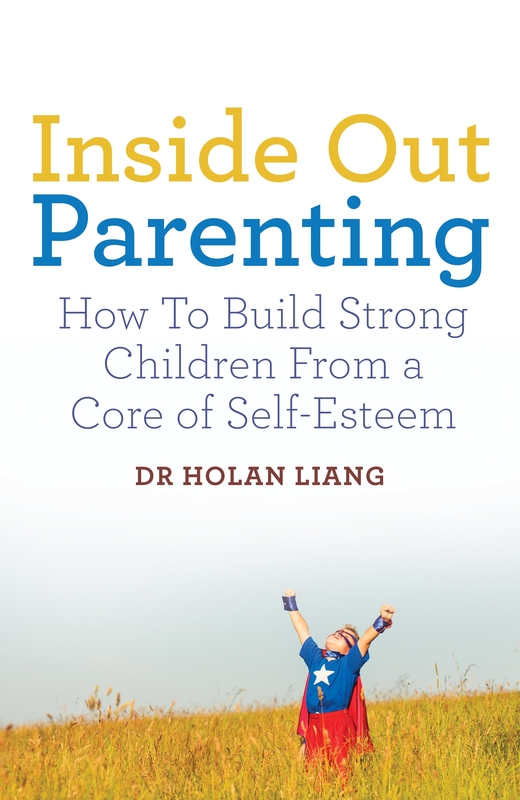 Four years ago, I started this little blog and with the amazing support of parents like you, it mushroomed into an Amazon 5-star rated parenting book released last year. As the physical hardships of early years parenting dissipated and my career got back on track, I had thought that parenting might get easier, that there would be no more purpose for my blog. How wrong I was and I am still faced with crisis and child-related headaches and learning new things every-day from my children and their ups and downs! This is not a “look at me the expert, and what a splendid job I’ve done” blog, not a “listen to me the expert, or your children will be mentally scarred for life” blog; but a blog in which I hope to honestly describe my personal take on parenthood and parenthood issues. It is primarily cathartic for me, but I hope that it will promote intelligent discussion and discourse on parenting related subjects from child-development to social policy and feminism, whether you agree with me or not. I hope to provide information on a variety of issues that I have come across, but am happy to look into other interesting parenting issues, so if you have a burning desire to find out about something please engage. Please note that this is a personal blog and the views reflected are my own at a point in time and subject to change. They do not represent views of my employers. Really interesting topics covered so far. Keep them coming! Whilst living in the South Pacific I was amazed at how successful those societies are with their children. Coming back to Europe after years away I was shocked to see babies and children left crying on their own and being scolded all the time. Apparently over here it’s even recommended to let your baby cry for a certain number of minutes before attending to him or her. In melanesian societies and many other indigenous cultures, children are treated as equals. I have trouble explaining this over here. Children are consoled whenever they cry and people never seem to get tired of children. I guess the fact that everyone gets involved in child care and people don’t really have just one set of parents like over here makes it easier to find time. People there take the time to reason and explain to kids to convince them instead of giving them orders. The only time they are told off I guess is when they don’t show appropriate respect. But those rules of respect are not children to adults but between all individuals. Like a child walking in front of another child will be told off (just as an adult would) etc. Thanks Franky, yes there is a lot of literature available on parenting in different countries and many books. I can’t pretend to be an anthropologist so am not an expert in this field. My personal view is that the evolutionary role of parenting is to prepare children for the environments that they will inhabit, and if you are going for the gold star, to prepare our children to be adaptable to all environments. Adaptation being the Darwinian key to success. Therefore, although we can learn about parenting practices in other countries there must be caution in adopting parental practices from one culture wholesale if you are not living within that culture. What works in one environment may not (and typically does not) work in another. What is useful about cross-cultural comparisons is that one can step back and realise that there is no “right” way. We must all do what we think is best for our individual child and individual society. Being strict and disciplinarian in a society that values free-thinking and creativity will have you labelled as “abusive”, being relaxed in an authoritarian culture will have you labelled as “neglectful and irresponsible”; in either case, your child will be singled out as different which may have its own consequences positive or negative. I have just gone through all posts to date and am so pleased that I have been introduced to your blog which I found interesting and relevant and have thoroughly enjoyed reading. Thank you. Can’t wait for your ‘tiger mom’ post, to access myself in this regard. Keep them coming!